The promise of regnerative medicine to grow human tissue outside the body using pluripotent stem cells and to use that tissue to treat diseases such as diabetes has shown siginificant potential. But recent work by Harvard researchers determined that human pluripotent stem cells are prone to develop mutations in the TP53 gene, which ordinarily helps suppress cancer. 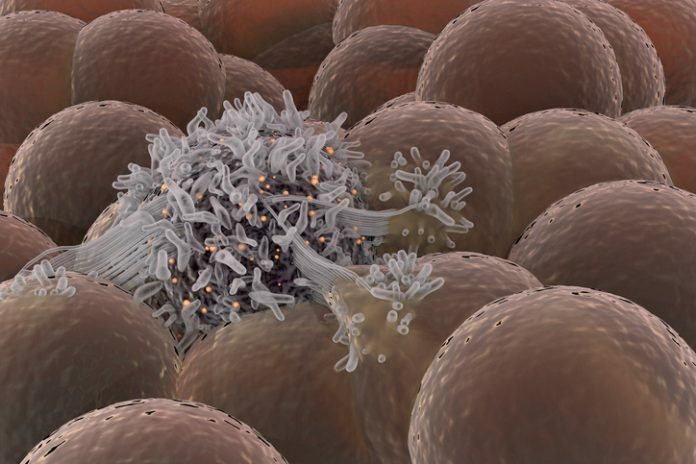 The mutated versions of the TP53 found by the Harvard team, however, tend to drive cancer development suggesting the need to screen lab-grown stem cells for deleterious mutations. To characterize the mutations that may arise among stem cells in vitro, scientists have been introducing gene-sequencing tests. For example, in a recent study, scientists based at Harvard have determined that human pluripotent stem cells are prone to develop mutations in the TP53 gene, which ordinarily helps suppress cancer. The mutated versions of the TP53 found by the Harvard team, however, tend to drive cancer development. Details of this work appeared April 26 in the journal Nature, in an article entitled, “Human Pluripotent Stem Cells Recurrently Acquire and Expand Dominant Negative P53 Mutations.” This article describes how the Harvard team sequenced the protein-coding genes of 140 human embryonic stem cell (hES) cell lines—26 of which were developed for therapeutic purposes using Good Manufacturing Practices, a quality control standard set by regulatory agencies in multiple countries. The remaining 114 human pluripotent stem cell lines were listed on the NIH registry of human pluripotent stem cells. This gene-sequencing exercise was followed by computational work that allowed the scientists to identify mutations present in a subset of cells in each cell line. These findings suggest that cell lines should be screened for mutations at various stages of development as well as immediately before transplantation. Although the Harvard scientists expected to find some mutations in stem cell lines, they were surprised to find that about 5% of the stem cell lines they analyzed had acquired mutations the TP53 gene, which encodes the tumor suppressor protein P53. Nicknamed the “guardian of the genome,” P53 controls cell growth and cell death. People who inherit p53 mutations develop a rare disorder called Li-Fraumeni Syndrome, which confers a near 100% risk of developing cancer in a wide range of tissue types. The specific mutations that the researchers observed are “dominant negative” mutations, meaning, when present on even one copy of P53, they are able to compromise the function of the normal protein, whose components are made from both gene copies. The exact same dominant negative mutations are among the most commonly observed mutations in human cancers. The researchers performed a sophisticated set of DNA analyses to rule out the possibility that these mutations had been inherited rather than acquired as the cells grew in the lab. In subsequent experiments, the Harvard scientists found that P53 mutant cells outperformed and outcompeted nonmutant cells in the lab dish. In other words, a culture with a million healthy cells and one P53 mutant cell, said Dr. Eggan, could quickly become a culture of only mutant cells. “The spectrum of tissues at risk for transformation when harboring a P53 mutation include many of those that we would like to target for repair with regenerative medicine using human pluripotent stem cells,” noted Dr. Eggan. Those organs include the pancreas, brain, blood, bone, skin, liver, and lungs. However, Drs. Eggan and McCarroll emphasized that now that this phenomenon has been found, inexpensive gene-sequencing tests will allow researchers to identify and remove from the production line cell cultures with concerning mutations that might prove dangerous after transplantation. The researchers point out in their paper that screening approaches to identify these P53 mutations and others that confer cancer risk already exist and are used in cancer diagnostics. In fact, in an ongoing clinical trial that is transplanting cells derived from induced pluripotent stem cells, or iPSCs, gene sequencing is used to ensure the transplanted cell products are free of dangerous mutations.